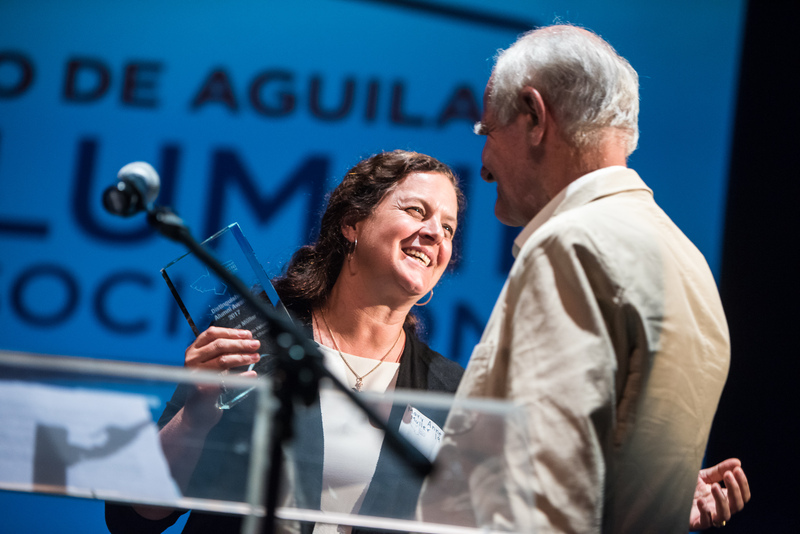 The Distinguished Alumni Award was introduced by the NAA in 2016 to recognize individuals who exemplify the values of the International School Nido de Aguilas. It is awarded to alumni who have demonstrated outstanding leadership, creativity and service, and are using their Nido education and personal talents to make their communities, and the world, a better place. The award is also meant to inspire current Nido students to develop “changemaking” skills, i.e, the capacity to take a look around them, identify things that can be improved, and do something about it. Nominations for 2019 are accepted until May 17, 2019. To learn more about the selection criteria for membership agreement click here. Mary Anne Müller is a social entrepreneur, educator and Buddhist instructor. In 1991, she founded Escuela Agroecológica de Pirque, an alternative secondary school model for low-income, at-risk children which integrates classroom learning with attention to each student's personal development and hands-on training in sustainable agriculture. In 2004, she founded Fundación Origen, an institution for Sustainable Education, Entrepreneurship and Peace. Mary Anne is an Ashoka fellow, Avina leader and member of Schwab Foundation. She is currently launching the School for Peace & Sustainable Education to train South American teachers and social leaders. Elisa was a member of the Board of Directors of El Centro de Investigación y Educación Parque Katalapi, a small private park near Puerto Montt founded in 1994, dedicated to promoting the scientific study of Chile’s native forests as well as increasing awareness, knowledge and love for nature. Parque Katalapi is a member of UICN (International Union for Conservation of Nature) and since 2004 serves as a Biology Station for Universidad de Concepción. Elisa was also the Founding President of ASI Conserva Chile, an association of conservation initiatives on private lands. She was awarded the 2017 “Premio a la Trayectoria” for her dedication to the organization. 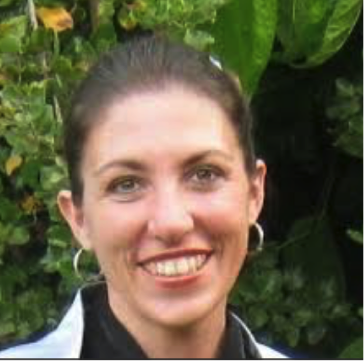 Elisa was a member of the Advisory Council of the Land Conservation Network which has as a mission to connect organizations and people around the world that are accelerating voluntary private and civic sector action that protects and stewards land and water resources. She was co-founder of Chiloe’s 2640-acre foundation Inmobiliaria y Comunidad Parque Ahuenco and author of various books and papers. She is the daughter of Anita Vliegenthart, a Nido Science teacher from 1975-1990. In 2016 the Award was bestowed upon Marisol Alarcón , 01 and Eugenio Vergara ’92. Marisol is the founder of Laboratoria in Chile, a highly successful social enterprise that provides training in computer programming and employment opportunities to women living in difficult circumstances. She is the recipient of numerous prestigious awards including the 2016 Avonni award for Social Entrepreneurship. Eugenio Vergara ’92 is a social entrepreneur who has dedicated himself to help overcome the “digital gap” of rural and vulnerable communities. He founded the NGO CDI Chile and has worked for almost two decades with both the private and public sectors in a wide range of projects and programs aimed in promoting democracy in the use of information technology. In 2017, Nido de Aguilas School together with the Nido Alumni Association launched the Nido de Aguilas Athletics Hall of Fame. The purpose of this initiative is to recognize and honor athletes, coaches, individuals, and teams who have made outstanding contributions either to the development of these athletes or to the excellence of the athletic program of The International School Nido de Aguilas. Nominations for 2019 are accepted until May 17, 2019. The categories available for nominee are Athlete, Coach, Team, and Significant Contributor. To learn more about the selection criteria for membership agreement click here. Robert “Bobby” Carter is the first inductee into the Nido Athletics Hall of Fame in the Athlete category. He is a graduate of the class of 1977. He had a distinguished career as a Track and Field Athlete as well as being a valuable soccer, volleyball and softball player. Besides competing for Nido, he was a member of Universidad Católica’s track team. During a national competition, he made the national record for 100- meter dash. After graduating from Nido Bobby contributed further to our community and Athletics Program, as the Athletic Director, teacher, coach, and coordinator of the Week Without Walls program. The first inductee to the Nido Athletic Hall of Fame in the Category of “Significant Contributors” is Mr. Rodolfo Collado. His career at Nido spanned 40 years (1963-2003) and asincluded the role of Athletic Director and Head Coach. He joined the school when it was located in La Reina/Peñalolén. When it moved to its present location he was instrumental in setting up athletics activities as well as facilities, including the school’s first sport’s field. He started numerous clubs and sports events in which Nido participated both nationally and internationally including the long lasting, tiring and very social Pan-Amigos.